The Arvada Chamber of Commerce is committed to being a champion for your business. One of the ways we do that is by tracking legislation that has an impact (positive and negative) on businesses. The conversation that leads to a decision is focused on what is in the best interest of our businesses today and in to the future guided by our legislative priorities as outlined below. Through a pro-business and bipartisan lens we evaluated each of the below outlined ballot questions in an effort to understand the implications if they were to pass. The conversations start with our Government Affairs Committee vetting the issues and making a recommendation to the Chamber Board of Directors. The Board then evaluates the recommendations and determines the final organization position. The growing economy and population is putting immense strains on our infrastructure, leading to congestion and deferred maintenance. Colorado faces a $9 billion backlog of road projects statewide. The Colorado legislature must fund basic transportation needs first in the budget and continue to find new sources of funding for transportation in the short, medium and long-term. While the local economy is strong, the legislature must ensure effective economic development incentives and a balanced regulatory framework if we are to withstand future downturns. This includes passing legislation providing small businesses with the ability to cure minor rule violations before facing a fine. 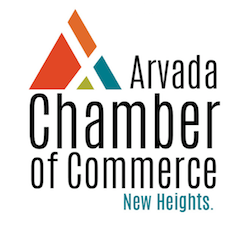 Below you will find an overview of the positions that the Arvada Chamber of Commerce took on the 2018 ballot. It would significantly reduce revenue to special districts in Jefferson County. It would be a constitutional amendment that is extremely difficult to adjust in the future. It does not adjust brackets for inflation. Amendment 109 directs the Colorado legislature to issue $3.5 billion in bonds for transportation funding and repay that debt from existing revenues without raising taxes. The Arvada Chamber’s concern is that this would cause issue with other state funding needs and priorities. We believe that while this is an interesting short term solution, it will not ultimately fix the scope of need in Colorado longterm. It would share the financial burden amongst residents and visitors who both use our roads. It raises the sales tax across all Colorado communities to keep the Arvada competitive in Colorado. 78% of Colorado’s roads will need to be repaired in the next 10 years. New funding will be crucial to support the magnitude and timing of these repairs. Proposition 112 would prohibit drilling for oil and gas within 2500 feet of any occupied structure or body of water. The Arvada Chamber believes this is too extreme and puts the oil and gas industry and their employees at extreme risk of sustainability in Colorado. Colorado’s oil and gas industry represents nearly 7% of jobs, represents 1100 businesses and pays $1 billion a year in taxes. We believe that passing this will have significant impacts on the Colorado economy. Amendments Y & Z establish non-partisan, independent commissions to re-draw Colorado State legislative and congressional district lines every 10 years after the Census. The commissions would be made up of Republicans, Democrats and unaffiliated voters. Incumbent legislators and the parties would not be able to control the process of drawing new maps. We believe that this process will assist Colorado in maximizing the number of competitive legislative and congressional districts. Supports a stronger local economy through increased teacher pay and planned school improvements. Supports student safety through additional funding at our schools. The Arvada Chamber of Commerce believes that safe and maintained transportation infrastructure is vital to the long-term economic success of Arvada. 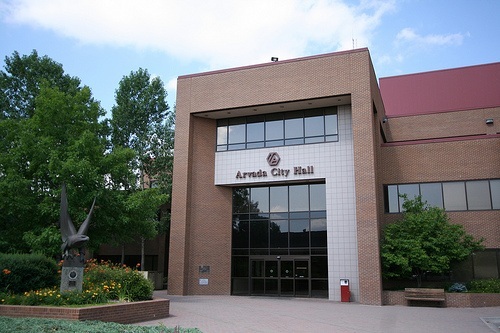 This proposed debt reauthorization offers the City of Arvada the opportunity to bond two major projects without increasing taxes. This investment now we saves money and is a more efficient way to invest in infrastructure improvements. Interested in joining these conversations in the future? Contact Kami Welch at kami@arvadachamber.org or call 303-424-0313.